Welcome to the Beers and Board Games Club of Columbus! Welcome to the Beers and Board Games Club of Columbus! Our group combines two of our favorite hobbies: craft beer and tabletop gaming! Our group meets every Wednesday evening, as well as the second Sunday of each month. We average between 40-60 people at each of our meetups, and we always have new faces joining the fun! Whether you’re an expert gamer or new to the hobby, we’d love you to join us — join our Facebook group for the latest events and member discussions, follow us on Twitter and subscribe to our email newsletter. 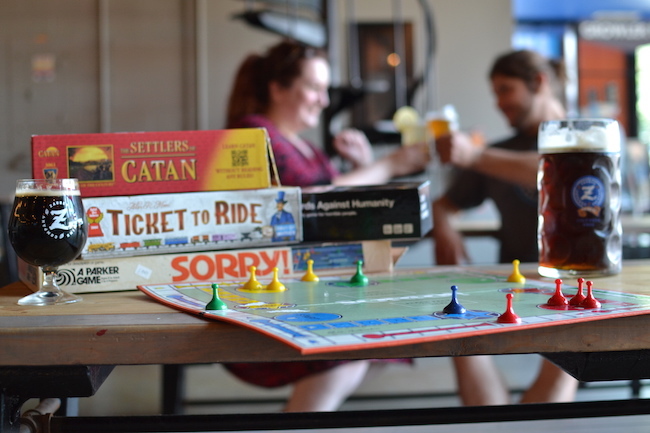 The Beers and Board Games Club was launched in October 2013 by the folks behind Drink Up Columbus.